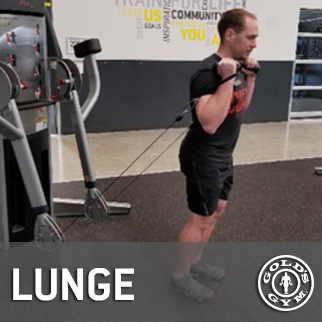 This intermediate workout takes fundamental movements to the next level and targets muscles throughout your body using standing exercises for weight machines. 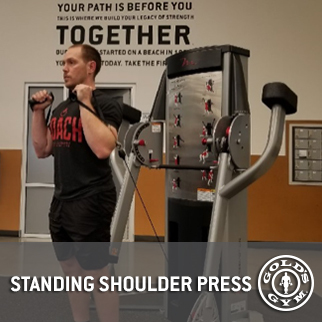 In our first installment on resistance machines, we talked about the three different types of machines at the gym. 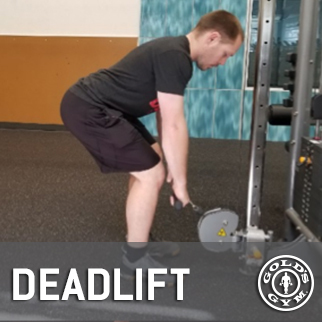 Then we shared a beginner-level workout to help you establish correct form while doing three fundamental types of movement: squat, push and pull. If you’ve been working on those basics, you can safely step up to the next level (literally) by standing. 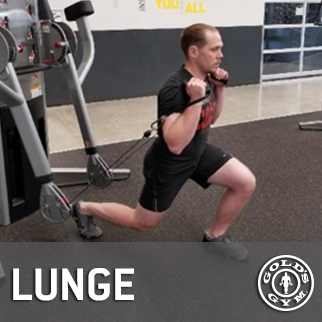 This workout includes standing exercises for weight machines that utilize squat, push and pull movements, and incorporate three more fundamental moves: lunge, hinge and rotation. Each is performed on a functional selectorized machine and works a wide range of muscles, including the shoulders, upper arms, core and legs. As you’re transitioning to this new workout, be sure to start slowly. “Gradually increase the number of exercises, sets, repetitions and weight used as you become comfortable with the exercises,” Monaco says. Be sure to maintain proper posture while doing these standing exercises for weight machines. Look straight ahead with your shoulders down and back. Keep the chin level by imagining you’re holding a piece of fruit beneath it. If you find yourself struggling to keep that alignment, decrease the amount of weight you’re using. 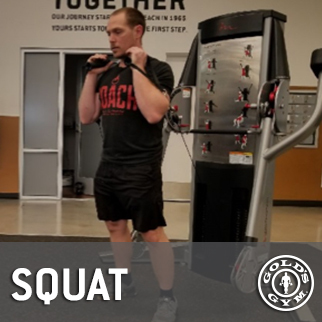 If you’ve added the leg press exercises from the beginner workout to your fitness routine, your muscles are developed enough to advance to a full squat. Take the handles closest to the floor and bring them to shoulder height. 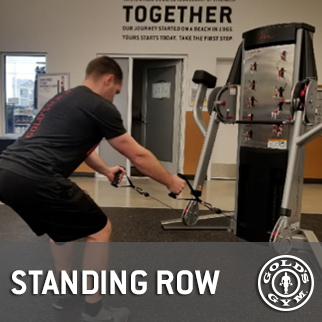 Position yourself with your back to the machine, feet shoulder-width apart and toes pointed straight ahead or slightly outward (about 5 degrees). Keep your body weight balanced over your feet. As you bend your knees and lower your body toward the ground, avoid going up on your toes or back on your heels. Maintain that form as you squat lower to the ground. Pause, and then press back up through your feet to the starting position. You should feel all the muscles in your legs, front and back, while working through this movement. The goal: Do three to four sets of four to six reps. Rest for a couple of minutes between sets. This move works all the major muscles of the legs together. As your mobility improves over time, you will be able to squat deeper. This move primarily works your shoulders and upper arms. 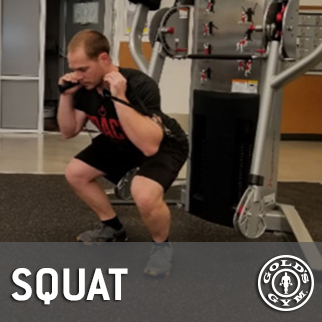 Begin in the same starting position as you did for the squat. Exhale and press the handles overhead, fully extending your arms and keeping them in line with your ears. Inhale and control the weight as you bring the handles back down to where you started. The goal: Do three or four sets of four to six reps. Rest for a couple of minutes between sets. This move targets many muscles along the back of your body, making it a popular exercise in a variety of workouts. But it’s one that’s often done incorrectly. Here’s the right way to start: Face the machine with your feet slightly narrower than shoulder-width apart. Point your toes straight ahead or slightly outward, with your knees slightly bent and upper body hinging forward at the waist. Take the handles closest to the ground — either grasp a handle in each hand or one handle with both hands. The handles should be at about knee-level when your arms are straight in this starting position. Press your weight through your heels to straighten the knees (but do not lock them) and pull your hips forward as you come to a standing position. Keep your arms straight as you lift the weight; the handles will come up to about pelvis-level. At the top (when you’re standing straight up), press your hips backward, stick your backside out and keep your weight in the heels. Allow the handles to travel down very close to your legs as you return to the starting position. The goal: Do three to four sets of four to six reps each. Rest for a couple of minutes between sets. You should feel this exercise working the muscles in the back of the legs and in your glutes (the muscles in your backside and hips). You should not feel it in your lower back; if you do, concentrate on your form and try decreasing the weight. This move targets the major back muscles and will help improve your overall posture. Face the machine with your feet flat on the floor and shoulder-width apart. Keep your knees slightly bent and your upper body hinged forward at the waist. Take the handles closest to the ground and extend your arms parallel to the angle of your thighs. 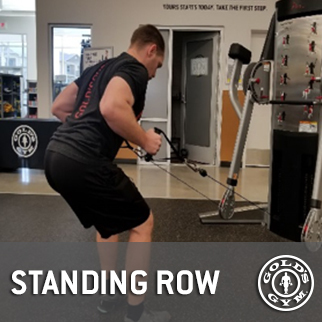 Keep your back flat and exhale as you pull the handles back toward your torso and bend your elbows to a 90-degree angle. Focus on keeping your shoulders down and squeezing your shoulder blades together. The goal: Do three to four sets of four to six reps. Rest for a couple of minutes between sets. You should feel this in your upper and mid-back, not your arms. This move targets the chest, front of the shoulders and upper arms. Start in a split stance: one foot in front of the other with a shoulder-width space between them. 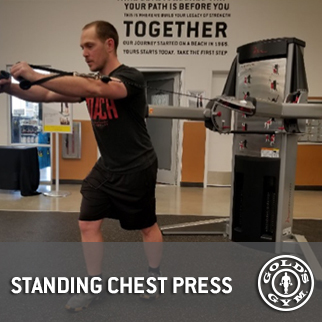 Take the handles that are located mid-level on the machine, or, if the machine has pulleys, adjust them so that they are about chest level. Face away from the machine with your knees slightly bent and hold the handles at the sides of your chest. Exhale and straighten your arms to press the handles forward. Pause, inhale and control the weight as you return to the starting arm position. The goal: Do three to four sets of four to six reps. Rest for a couple of minutes between sets. Keep your lower body still so that your upper body does the work. While this move primarily works the leg muscles, your chest and glutes also get involved. 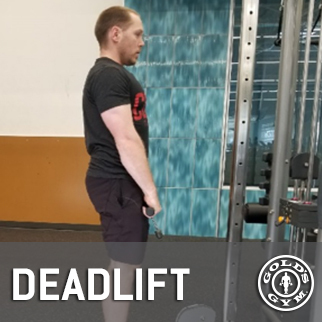 Begin with your feet slightly narrower than shoulder-width apart — the same starting position as the squat and shoulder press. Take a step backward and lower the back knee toward the floor without letting it make contact. All the while, dig your weight into the floor through the heel of your front foot. Lift your chest, squeeze your glutes and raise yourself back to the starting position. Repeat with the opposite leg. The goal: Do three to four sets of four to six reps. Rest for a couple minutes between sets. The front leg muscles feel the movement; the back leg is for balance. Rotation is a natural movement that occurs when we walk, run or simply reach for something across our body. It activates your core muscles (follow the links below for progressive core workouts). 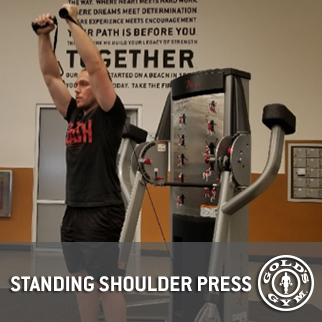 Stand perpendicular to the machine with your feet shoulder-width apart and knees slightly bent. 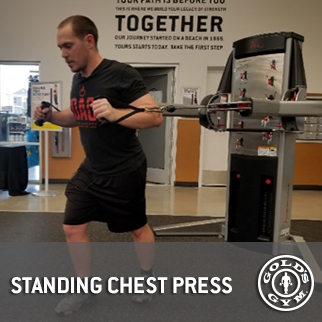 With both hands, grasp a single handle located mid-level on the machine, or, if the machine has pulleys, adjust them so that they are at about chest level. Your outstretched arms will feel some tension in the cable. 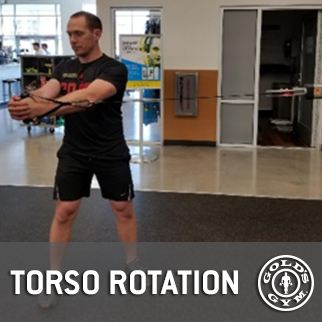 In this position, your body is slightly twisted at the waist — the lower half should be perpendicular to the machine and the upper half should face toward it. 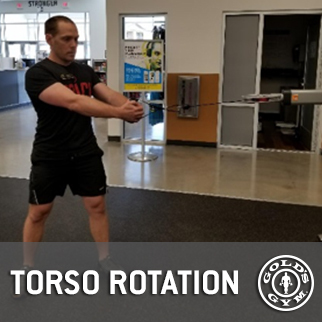 Keep your arms straight as you rotate your torso to be fully perpendicular to the machine, keeping the handle in front of you at chest level. Repeat on the opposite side. The goal: Do three to four sets of four to six reps on each side. Rest for a couple of minutes between sets. Your oblique muscles (side abdominal muscles) will feel this movement.